Logs are very important for a Network Engineer during troubleshooting. 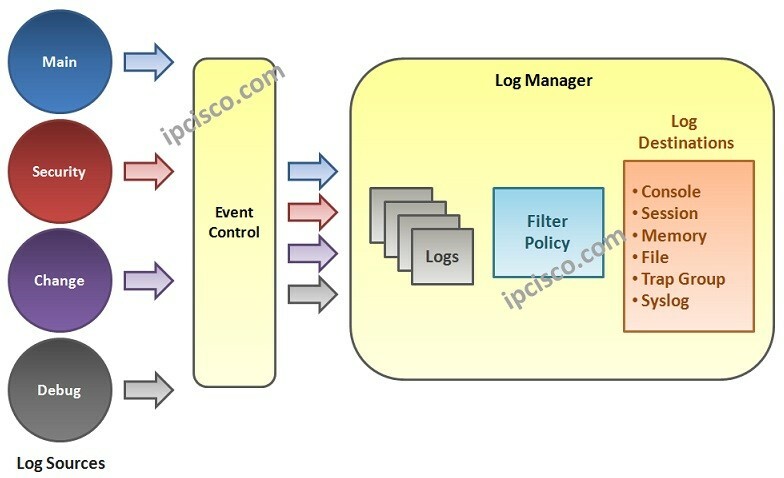 A good Network Engineer, check the right logs and determine the required actions according to the logs. All the events, errors , etc are in the logs. If you know where to check, you can see all these information, your router and switch record everything. The most important thing is knowing how to reach this information. Nokia Service Routers has a very good and detailed Log Mechanism. With various default logs and acccording to the defined logs during the configuration, you can monitor alarms, warnings and notifications in different levels. 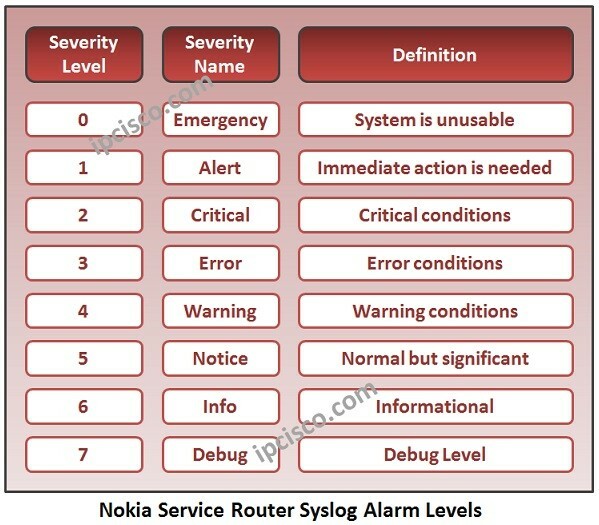 There are some default alarms logs in Nokia Service Routers. These logs are log 99 and log 100. You can view these logs with “show log log-id 99” and “show log log-id 100” commands. There is also another log that is used for a special role.This Log is Log 98. Log 98 is created by 5620 SAM managed nodes. 5620 SAM is the management application of Nokia (Formerly Alcatel-Lucent). You can view Log 98 with “show log log-id 98” command. During log view, you can do specific search with additional words. For example for port specific log search, you can use “show log log-id 99 subject 1/2/3”. This will show all severity alarms related with port 1/2/3. As an another example, for chassis related alarms you can use “show log log-id 99 application chassis” command. Below, you can find the example of the screenshots of Log 99 and Log 100. "Configuration file saved to: cf3:\config.cfg"
System configured with persistent SNMP indexes: false. SNMP daemon admimistrative status: inService. SNMP daemon operational status: inService." "The SNMP agent has changed state. Administrative state is inService and operational state is inService." "The active CPM card A is operating in singleton mode. There is no standby CPM card." "Bootup configuration complete. Configuration status: configOK. SNMP Persistent Indexes status: persistDisabled. System configured with persistent indexes: false." "Class CPM Module : Failed to load software from cf3:\timos\i386-isa-aa.tim"
"Interface to-SR-2 is not operational"
"Class MDA Module : inserted"
"Class IO Module : inserted"
To understand the Log configuration on Nokia, let’s check the default Log, Log 99 configuration. Hey Buddy!, I found this information for you: "Logs in Nokia Service Routers". Here is the website link: https://ipcisco.com/logs-in-nokia-service-routers/. Thank you.